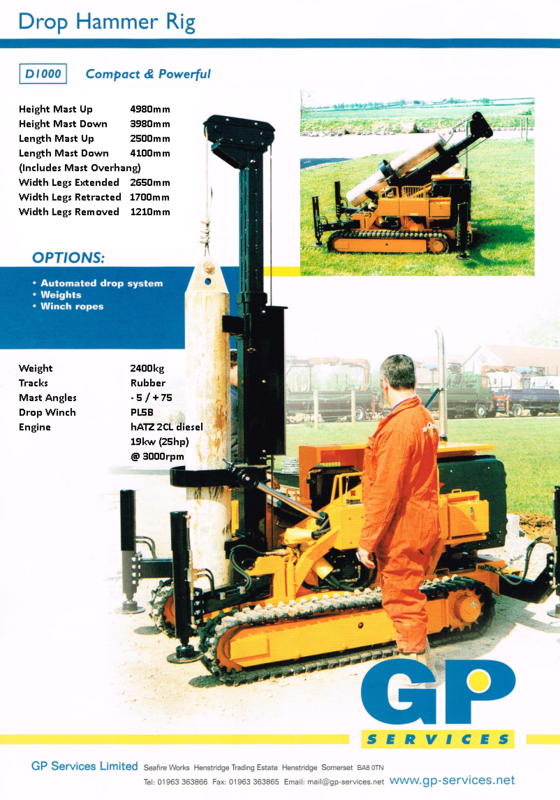 The GP Services D1000 Drop Weight Piling Rig is a compact drop hammer piling rig with an on-board power pack and a maximum lift capacity of 1000kg. It’s compact size and on-board power pack mean it is an extremely popular machine, ideal for use on both restricted and open sites. 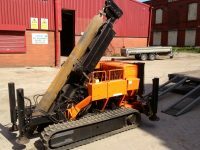 Used for installing bottom driven piles at the following sizes; 100mm, 150mm, 165mm, 198mm, 220mm, 273mm and 323mm diameters. Maximum lift capacity: 1000 kg. Can be supplied with the following weights – 6” weight 220 kg, 7” weight 350 kg, 8” weight 500 kg, 10” weight 550 kg, 10” weight 750 kg, 13” weight 720 kg. Can be supplied with mast extension if required. Bottom driven piles are used in poor ground conditions, or restricted sites, where deep foundations are impractical. They are installed by driving a close ended steel pile tube to the ground with an internal drop hammer and drop weight piling rig, or grundomat pneumatic piling hammer and compressor. We can supply D1000 Dropweight Piling Rigs and any required accessories at extremely competitive hire rates throughout the UK. Rigs, Accessories and Associated Plant can be collected using your own transport, or delivered.